Having the latest drivers installed on your Windows 10 PC is crucial if you want to ensure maximum performance and stability. However, sometimes issues with drivers can emerge, and you might have to remove certain drivers from your PC. 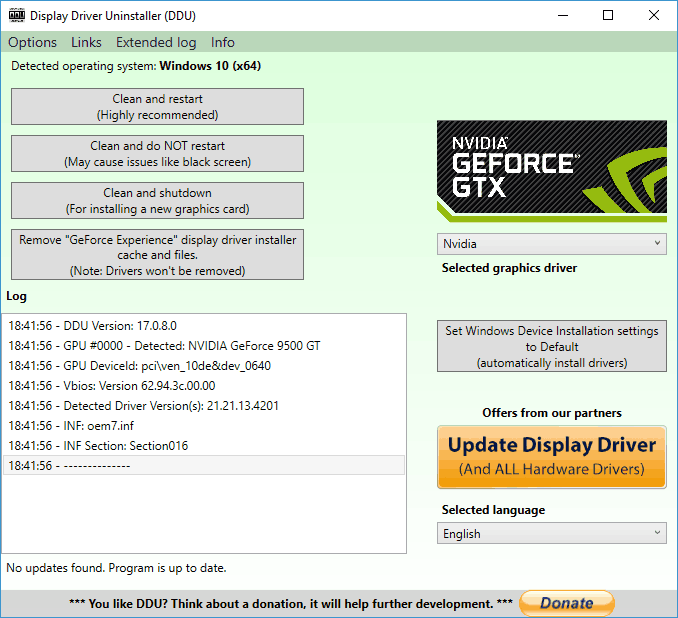 If you’re having problems with your graphics card and you need to remove its drivers, you might be interested in a tool called DDU: Display Driver Uninstaller. 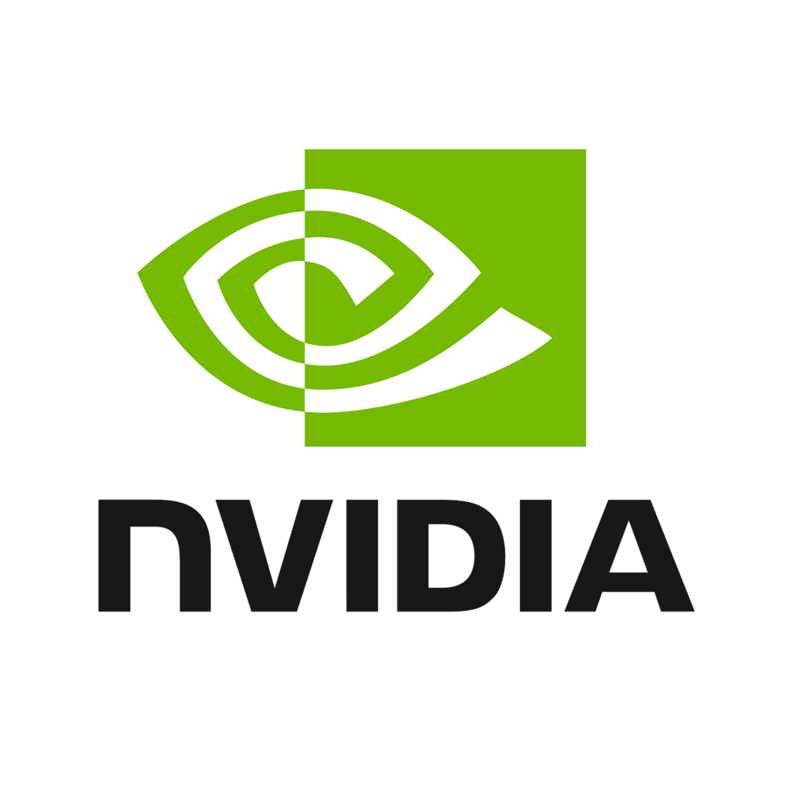 Uninstall Nvidia drivers Windows 10 – If you have problems with your Nvidia drivers, you should be able to completely uninstall them using this tool. How to use DDU – Display Driver Uninstaller is a simple to use a tool, and in this article, we’ll show you how to use it properly. Display Driver Uninstaller AMD, Intel, Nvidia – Display Driver Uninstaller can remove almost any graphics card driver from your PC. The tool fully works with AMD, Nvidia and Intel drivers. Display Driver Uninstaller Safe Mode – Sometimes in order to remove a certain driver, it’s advised that you remove it from Safe Mode. Display Driver Uninstaller can automatically enter Safe Mode and remove the problematic driver from your PC. Nvidia display driver deletion of old versions – If you want to completely delete old versions of Nvidia drivers, Display Driver Uninstaller might be the perfect tool for you. Display Driver Uninstaller portable – Display Driver Uninstaller is a fully portable application and you don’t have to install it in order to run it. AMD display driver uninstall clean – If you’re having any problems with AMD display driver and you want to completely remove it from your PC, Display Driver Uninstaller is the perfect tool for you. What is Display Driver Uninstaller and how to use it on Windows 10? What does Display Driver Uninstaller do? Display Driver Uninstaller is a freeware third-party application designed to remove your graphics card drivers. Sometimes you might experience issues with your graphics card, and in order to fix those issues, you might have to reinstall the graphics card drivers. You can always remove the graphics card driver from Device Manager or by using its dedicated uninstaller, but Display Driver Uninstaller allows you to thoroughly remove the driver from your PC. Certain drivers can leave installation packages or registry entries once you uninstall them, but Display Driver Uninstaller will remove all files associated with your graphics card including the installation packages and registry entries. Sometimes it can occur that you can’t uninstall the graphics card driver due to a certain error in Windows 10, and this is why tools such as Display Driver Uninstaller can be helpful. If you’re worried that currently installed driver is causing any issues on your system, you can completely remove it from your PC by using this tool. 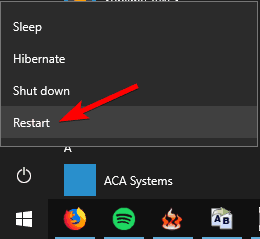 Since this is such a powerful tool, it’s recommended that you create System Restore point before using it. In case anything goes wrong while removing the driver you can easily restore your system by using the System Restore point. It’s also recommended that you add Display Driver Uninstaller to the list of exclusions in your antivirus software so it can have full control over your system while removing the driver. Download the latest version of Display Driver Uninstaller. The tool will be downloaded as a 7zip archive. Locate the downloaded file and double click it. Now you’ll be asked to extract the tool. Choose the extract location and click Extract. After the tool is extracted, double click the Display Driver Uninstaller icon to start it. You should see a warning message saying that it’s recommended to use this tool in Safe Mode. You can boot to Safe Mode simply by choosing the Safe Mode option from the Launch option menu. After selecting Safe Mode click the Reboot button. You can also run the application without using the Safe Mode simply by choosing the Normal option from the Launch option menu. When Display Driver Uninstaller opens, the log will show you the information regarding your graphics card. You can also choose the graphics card driver from the menu on the right, but in most cases, Display Driver Uninstaller should automatically detect your graphics card driver. You’ll see three buttons available on the left side. If you’re installing a new driver for your graphics card, simply select Clean and restart button. If you’re installing a new graphics card, you can use Clean and shutdown button to remove the driver and turn off the PC. There’s also an option to clean the driver without a system restart, but this option can sometimes cause some minor issues with your PC. After selecting the desired option, wait while Display Driver Uninstaller removes the driver. After the PC restarts, your display driver will be completely removed, and all driver-related issues with your graphics card will be resolved. Now you just need to install a new driver for your graphics card and check if the problem is resolved. Click the Start button, hold the Shift key and click the Power button. While holding Shift key select the Restart option. When your PC restarts select Troubleshoot > Advanced options > Startup Settings and click the Restart button. You’ll see a list of options. Select any version of Safe Mode by pressing the appropriate number on your keyboard. After Safe Mode starts, run Display Driver Uninstaller and follow the instructions above to delete your display driver. As you can see, Display Driver Uninstaller is a simple yet powerful tool, and in order to use it, you don’t need to install it on your PC. This means that you can run this tool easily on any PC without any problems. Regarding the compatibility, Display Driver Uninstaller is fully compatible with older versions of Windows and it supports both 32-bit and 64-bit systems. We also have to mention that this tool has support for multiple languages, so it’s quite possible that your native language is available in the list of translations. Lastly, this tool is rather lightweight and it doesn’t use much of your computer resources, so you can run it on almost any computer without problems. Display Driver Uninstaller is an extremely useful tool, especially if you have problems with your graphics card and you need to remove all traces of your old display drivers. 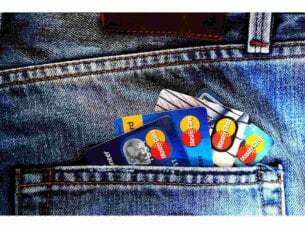 Since this tool is rather simple it will be useful to both advanced and basic users alike.